Bright & open 2 story in coveted Cherrywood Park in Thornton * Grand 2 story entry w/gleaming hdwd flrs on main level * Spacious gourmet kitchen w/doubleovens & gas cook top and convenient home management center * Generous eat- area opens into great room w/gas fireplace flanked by entertainment niches * Elegant formal dining & living w/ pass through to kitchen * Plenty of room in this smart and spacious floorplan w/ 4 bdrms upstairs w overlooks to below! 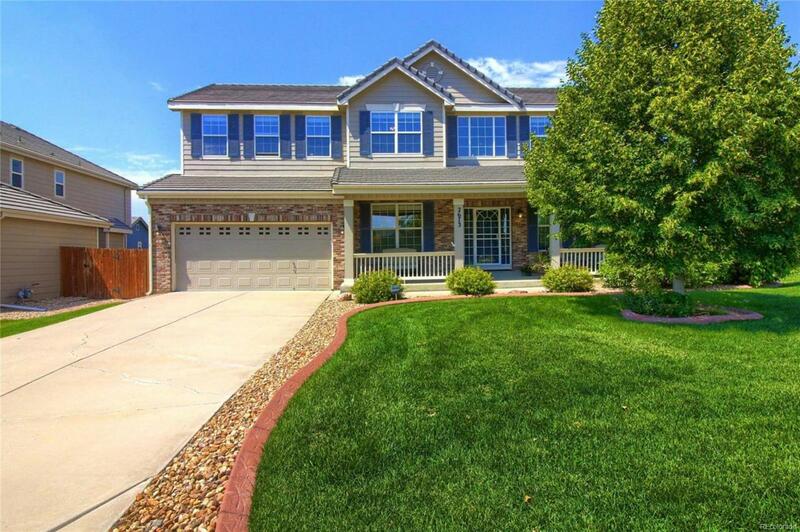 * Spoil yourself in the spacious master suite w/5pc master w/soaker tub & large walk-in* Play, entertain, or just relax on fantastic trex decking the spacious fenced yard/ Walk to parks, schools, and trails! Easy commute to Boulder/Denver/DIA & close to E470.